Halcyon Style: Do you have the time? 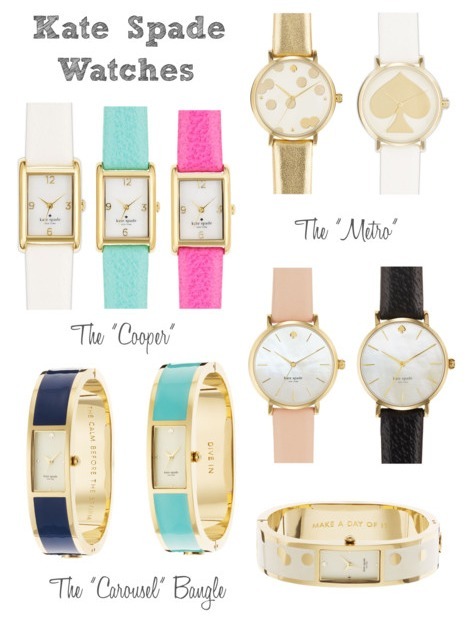 Many thanks to Stephanie for bringing this to my attention, Kate Spade now makes watches. And they're gorgeous; perfect wrist candy. My favorite three silhouettes are the cooper, metro and carousel . They're timeless and elegant while adding a splash of color or sparkle to your daily routine. I would love the metro or carousel with the gold confetti graphic. Very similar to my new bedside tray from Tilly | Maison. Like these but want to see more options? Check them out here.